Camp SMPCS is an exciting and dynamic summer camp program where your child will develop fundamental social, sport and leadership skills and build their confidence. With its outstanding sports facilities and convenient location between Montreal and Ottawa, College Bourget is the ideal venue for this language camp paired with travels and activities. More than anything, Rainbow Camp is a fun place for kids to “COME OUT” and be themselves! A Christian overnight, day & water-ski camp with multiple activities on land (archery, climbing, ball sports, games, trampolining etc) and in water (tubing, water-ski, canoe/kayak etc). Well qualified staff & great food! Christian day camps from across North America offer the same fun summer activities you would expect to find at any camp, including swimming, water skiing, horseback riding, sports and much more. Not only does the camp get them outdoors, it also provides a disciplined learning environment during the usually lackadaiscal, laissez-faire summer months. Of course, not all of these camps are merely traditional. Christian summer camps can also offer a tertiary emphasis such as camps with wilderness adventures, sports camps and Christian family camps. 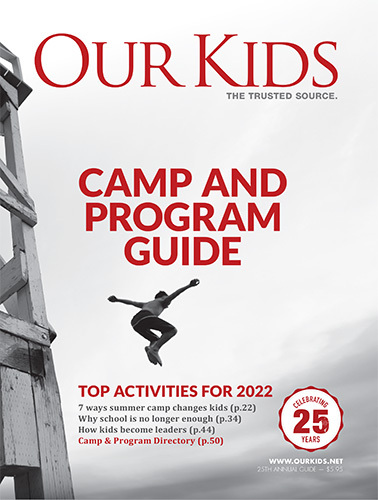 Faith-based camps like those listed above offer a unique opportunity for kids and teens from a Christian background to deepen their faith and to mature in other ways, also. Time away from parents, alone with their peer group presents cases for opportunities like no other for them to grow and mature. Alone together outside, by a campfire, etc., they have unique encounters with Creation, and with kids and teens from other backgrounds and perspectives, in what becomes, essentially, a Christian youth retreat. Many camps are non-denominational but not all. Some camps may have been started by a specific denominational body, and may retain a connection to that background as a guiding principal in programming or which kids they accept, etc. The great majority of Christian summer camps tend to be non-denominational. Camps may have specific programming or culture that opens children's eyes up to social issues. For example, Fraser Lake Camp in Bancroft, Ontario, has a camp store where money is not accepted. This helps eliminate socio-economic distinctions that separate some kids from others and reduces cliquishness, etc. Some Christian youth camps welcome struggling teens, and integrate kids no matter what their background. Bible camps are still found in Canada, although this traditional focus may be on the wane in the movement toward non-denominationalism and what is considered progressive inclusiveness. Almost all Christian camps will have some form of Bible study, of course. Retreat to nature is healthy. Too many young people are losing touch with the natural world, and if teens are interested in summer camp, parents should definitely get behind this. A deepened appreciation for the natural world is a worthwhile benefit of this kind of young people's Christian retreat. Other related camps you might be interested in are leadership camps, family summer camps and camps for disabled teens and kids, ideal for many Christian teens who want to expand their leadership abilities through the role of camp counselor. For parents looking for a summer camp with a Christian emphasis, look no further than camps.ca's listings above.